Nominated by their peers, the fellows were selected by an independent panel of senior scholars and will receive a two-year, $50,000 grant to pursue any line of research they choose. Awarded annually since 1955, the fellowships are bestowed on scholars whose achievements and potential identify them as rising stars, the next generation of scientific leaders. The new fellows from UC San Diego, who were among 126 individuals from 51 colleges and universities across the United States and Canada given this year’s awards, are Nathan C. Gianneschi, assistant professor of chemistry and biochemistry; Alireza Salehi Golsefidy, assistant professor of mathematics; and Roger P. Levy, assistant professor of linguistics. An organic chemist, Gianneschi received his Ph.D. in chemistry from Northwestern University in 2005 and was a postdoctoral fellow at The Scripps Research Institute before being appointed to the faculty at UC San Diego in 2008. He received a Presidential Early Career Award for Scientists and Engineers the following year. Last year, he received an NIH Director’s New Innovator Award and was named a Royal Society of Chemistry Emerging Investigator. 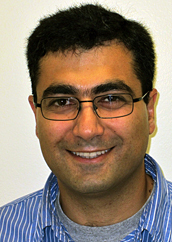 Salehi Golsefidy received his Ph.D. in 2006 from Yale University under the direction of Fields Medalist Gregory Margulis and spent the next three years as a research instructor at Princeton University and the Institute for Advanced Study in Princeton, NJ. In 2009, he was appointed an assistant professor at Princeton University and in 2011 he was appointed to the faculty at UC San Diego. 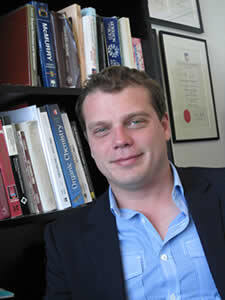 He received Clay Mathematical Institute Liftoff Award and a National Science Foundation Award. The director of UC San Diego’s Computational Psycholinguistics Lab, Levy conducts research on theoretical and applied questions in the processing of natural language. 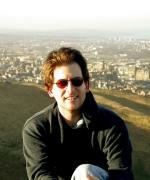 He earned his Ph.D. in linguistics at Stanford University in 2005 and joined the faculty at UC San Diego in 2006, following a post-doctoral appointment at the University of Edinburgh. Levy’s other recent honors include, in 2010, a UC San Diego Hellman Fellowship and an NSF Faculty Early Career Development Award.